You Might get results as "Document Verification list not generated yet! ", if you districts result is not declared which will be declared soon. 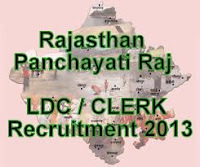 For More Updates on Rajasthan LDC Exam 2013 Follow us on GOOGLE+ or FACEBOOK.